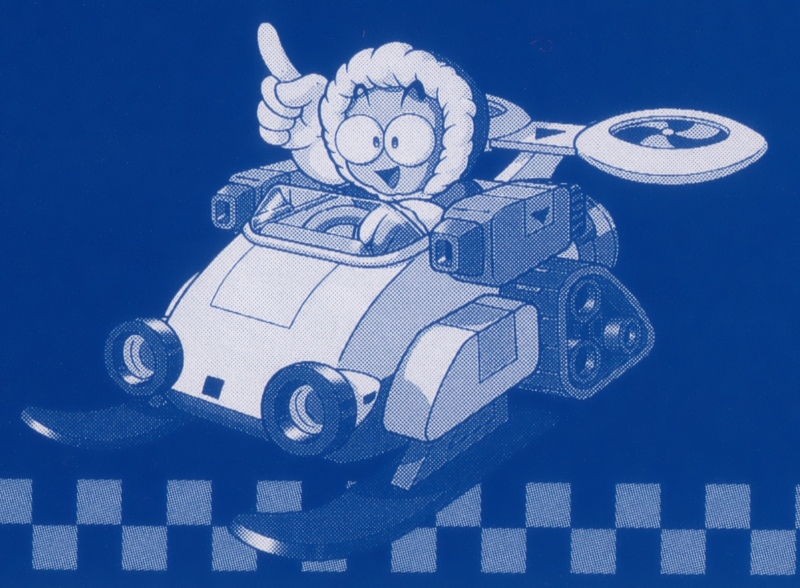 Your free pic this Friday comes from the Rockman Battle & Chase soundtrack booklet, featuring art of Iceman in his racing machine, the Cool Mobile. Note the differences in angle and pose from the “tugging on the glove” Iceman racer image used just about everywhere. This variation didn’t make it into the Mega Man Official Complete Works book, and for all I know, it could be an early unapproved draft that may have only been included in the soundtrack booklet on accident. Too bad, I’d love to see it in color! 6 Comments to "Iceman vies for the number one slot!" There you are, #20! Good to see you again! Thank you! Ice Man is one of my favorite Robot Masters. Glad to see you are back! 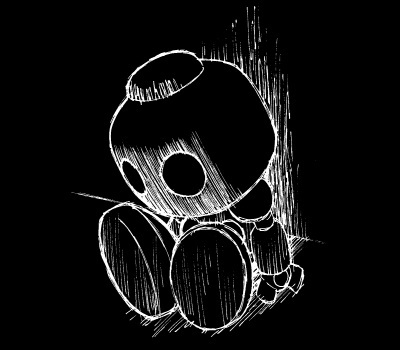 This Blog and Protodude’s are my favorite Mega Man blogs ever. Also thanks for your careful response to the Plum question. It seems we can’t be 100% sure that she is a robot without an official source confirming it. It’s funny how this picture looks somewhat older in design compared to the final art. Maybe they decided it’d be a good idea to give it a modern edge! Thanks guys, it’s good to be back! « Come on guys, no cheating!